Wind-turbine blade rain and sand erosion, over long periods of time, can degrade the aerodynamic performance and therefore the power production. Computational analysis of the erosion can help engineers have a better understanding of the maintenance and protection requirements. We present an integrated method for this class of computational analysis. The main components of the method are the streamline-upwind/Petrov–Galerkin (SUPG) and pressure-stabilizing/Petrov–Galerkin (PSPG) stabilizations, a finite element particle-cloud tracking method, an erosion model based on two time scales, and the solid-extension mesh moving technique (SEMMT). The turbulent-flow nature of the analysis is handled with a Reynolds-averaged Navier–Stokes model and SUPG/PSPG stabilization, the particle-cloud trajectories are calculated based on the computed flow field and closure models defined for the turbulent dispersion of particles, and one-way dependence is assumed between the flow and particle dynamics. Because the geometry update due to the erosion has a very long time scale compared to the fluid–particle dynamics, the update takes place in a sequence of “evolution steps” representing the impact of the erosion. A scale-up factor, calculated in different ways depending on the update threshold criterion, relates the erosions and particle counts in the evolution steps to those in the fluid–particle simulation. As the blade geometry evolves, the mesh is updated with the SEMMT. We present computational analysis of rain and sand erosion for a wind-turbine blade strip, including a case with actual rainfall data and experimental aerodynamic data for eroded airfoil geometries. 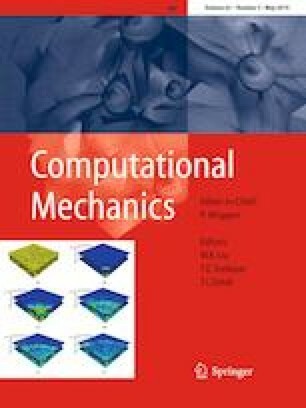 This work was supported in part by Sapienza University of Rome “Progetti Grandi 2017” grant “Development of advanced modeling techniques for coupled multi-physics in open and ducted rotor fluid machines” - n. prot. RG11715C81D7D03A. The mathematical model and computational method parts of the work were also supported in part by Grant-in-Aid for Challenging Exploratory Research 16K13779 from JSPS and Grant-in-Aid for Scientific Research (S) 26220002 from the Ministry of Education, Culture, Sports, Science and Technology of Japan (MEXT) (for the 5th author) and ARO Grant W911NF-17-1-0046 and Top Global University Project of Waseda University (for the last author). In Sect. 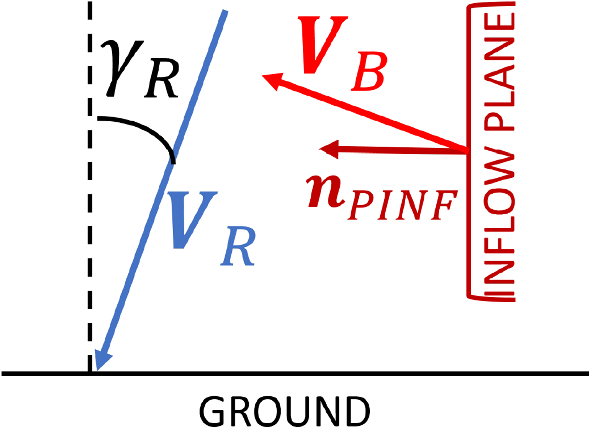 8.3, the expressions given for the rainwater fraction and blade rainfall were based on the assumption that the rainfall is vertical, the blade velocity is horizontal, and the inflow plane is perpendicular to the blade velocity vector. Here we provide expressions for the general case, without these assumptions.